Brussels / The Hague, 5 April 2017 – The European Commission and Europa Nostra revealed today the winners of the 2017 European Union Prize for Cultural Heritage / Europa Nostra Awards, Europe’s top honour in the heritage field. The 29 laureates from 18 countries are being recognised for their notable achievements in conservation, research, dedicated service, and education, training and awareness-raising. Independent expert juries examined a total of 202 applications, submitted by organisations and individuals from 39 countries across Europe, and chose the winners. Among the outstanding initiatives awarded this year are: the renovation of a road stretching across 100km of Norwegian mountains that has made an area of breathtaking natural beauty accessible to visitors; a pioneering research project on the paintings and drawings of the Dutch painter Hieronymus Bosch that has shed new light on some of the world’s most fascinating works of art created at the turn of the 16th century; the efforts of a conservator and art historian to protect Croatia’s heritage for almost 60 years; and the establishment of a Cypriot centre of visual arts and research in Nicosia that has the spirit of reconciliation and peace at its foundation. “I warmly congratulate this year’s winners and pay tribute to all those who made these exceptional achievements possible, thanks to their formidable talent, passionate commitment and great generosity. They are now among a select group of some 450 remarkable accomplishments awarded by Europa Nostra and the European Commission in the past 15 years. All our winners demonstrate that heritage is a key tool for sustainable economic development, social cohesion and a more inclusive Europe. EU leaders should seize the historic opportunity of the European Year of Cultural Heritage in 2018 to recognise the multiple benefits of heritage and its fundamental value in bringing countries, communities and cultures together in Europe and beyond,”stated Plácido Domingo, the renowned opera singer and President of Europa Nostra. 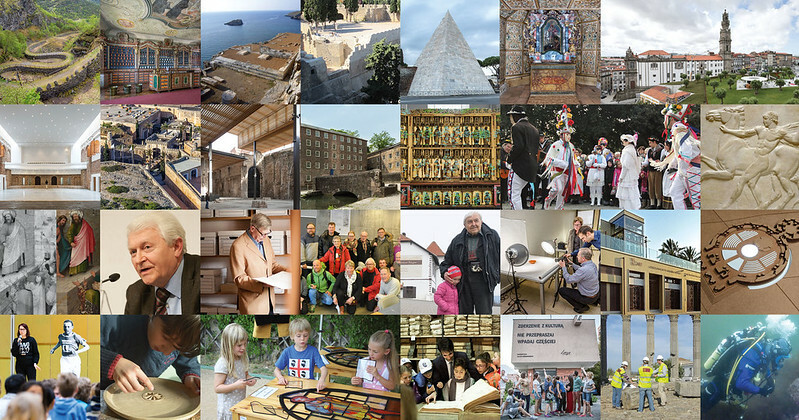 The winners will also present their exemplary heritage accomplishments during the Excellence Fair on 14 May at the Sigyn Hall of the Turku Music Conservatory, and participate in various events at the European Heritage Congress in Turku (11-15 May). Organised by Europa Nostra, the Congress will provide an inspiring platform for networking and debating the latest European developments related to heritage with a special focus on the European Year of Cultural Heritage 2018. Applications for the 2018 edition of the Awards can be submitted from 15 May to 1 October 2017 through the dedicated website. A Europa Nostra Award is also presented to remarkable heritage achievements from two European countries not taking part in the EU Creative Europe programme.